Our strategy is clearly set out: We are exclusively focused on cloud-based B2B software. Ever since 2006 we have been convinced that cloud computing is going to prevail over the traditional “on premise” model, because the advantages of cloud computing are simply too appealing to end users. In retrospect we have been proved right. SaaS services are being used and integrated in existing IT environments by an increasing number of companies. Cloud applications are an excellent tool to integrate modern forms of co-operation, such as e-collaboration, in companies’ business processes. And all this can be done at a fraction of the cost of an “on-premise” implementation. However, the major appeal of cloud computing is also its biggest challenge: It is the enormous speed at which things are developing. By means of our outstanding know-how we want to remain technology leaders, e.g. when it comes to integrating visionary technologies, such as the Internet of Things, into our business applications. HW PARTNERS is not only an investment company, it has also founded several companies of its own such as Scopevisio, CenterDevice and Legalvisio. Both figure among the leading providers of cloud bases B2B standard software today. Scopevisio‘ cloud-based standard business software has won the ERP System of the year award multiple times. We are very proud of this achievement because we see it as a reward for many years of pioneering work in the field of cloud based B2B software. 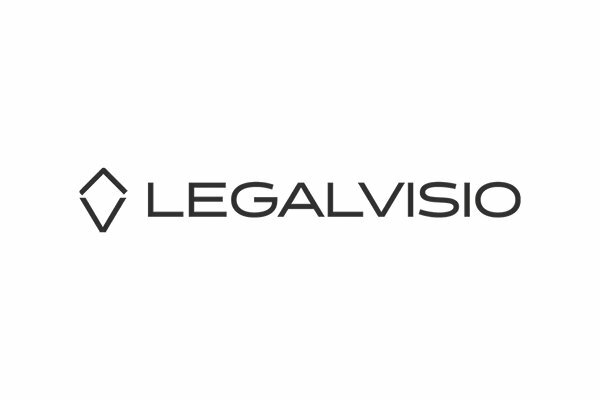 Legalvisio – cloud software for law firms: This company is providing a maximum of digitisation and automation to law firms. CenterDevice, a cloud-based DMS (Document Management System), has also set new standards. Today, CenterDevice is firmly integrated in many businesses‘ work routine, facilitating communication and collaboration for their employees. HW PARTNERS is active in the growing Gig Economy business. Based on a cloud platform our companies provide a perfect matching of supply and demand in their specific areas. GigWork is a cloud based jobdating platform that automatically links candidates and companies together – without a classical application procedure as with regular job portals. As the first Gig economy platform in vehicle trading Carmato relies on a fully digitized business model. An interactive price proposal and bidding system, an automated entry of vehicle data and our intuitive User2User-communication system set a new benchmark in online trading. agindo is a software company focussed on development of cloud based solutions an add ins. The company is also specialized in the integration of Microsoft 365 products into existing IT infrastructure (ERP cloud based or local, existing software solutions of clients etc.) like MS-Sharepoint 365, MS-Power BI etc. The Digital Hub Bonn is a centre for start-ups in the digital economy. It is intended to help young entrepreneurs to create networks with local businesses. The idea is to create a platform where scientists, students, entrepreneurs, technology people, start-ups, investors and regional players can network and find an inspiring climate for digital talents, ideas and innovation, as well as entrepreneurship and entrepreneurial education. Or let’s just say, a modern office environment with enough space for 10 to 15 young companies. These companies will be coached, guided and funded by regional investors, business development agencies, universities and companies. These sponsors will be giving advice and provide infrastructure and money to start-ups and in exchange they will be participating in their successes. Dr. Jörg Haas, Chairman of HWPARTNERS AG and Manager of Digital Hub emphasizes the importance of the project by pointing out that “Today‘s start-ups are the medium-sized companies of tomorrow”. Our heart is beating for the cloud and our investment criteria are defined accordingly. HW PARTNERS offers financial engagement in pure cloud companies, preferably run by producers and providers of cloud-based business application software. We prefer a business model where applications are provided on-demand as Software-as-a-Service (SaaS) and settled using the Pay-per-Use method. With regard to turnover or size of the companies we pose no restrictions, yet it is important that the product and service portfolio suits us well, ideally supplementing our Scopevisio or CenterDevice portfolios with complementary offerings. When we enter into an investment, we don’t waste a thought on a possible future exit. We do not have an exit strategy because our engagements are long-term. We are neither a venture capital provider, nor a pure financial investor. Instead, we „live“ our mission to “JOINTLY MAKE IT HAPPEN”: We invest our own funds to aquire a majority stake, so we can provide lasting support and guidance to the respective company, rather than just administering it. HW PARTNERS is offering the opportunity to join us in our company engagements to selected co-investors who meet our investment requirements. Investment partners should support our mission to “JOINTLY MAKE IT HAPPEN” in the same way the companies we choose for our common investments do. In the long run we strive to create value and we do this in many different ways. While we want to extend our know-how lead, we aim to operate our investments profitably, develop them to their full market potential and use synergies for sustainable improvement of their success prospects. We would like to invite both companies and individuals who are interested in co-investements to a personal discussion about how we can join forces together. Scopevisio once again won the CloudComputing Insider Portal IT Award in the Cloud-ERP category this year. Scopevisio is awarded Platinum, followed by SAP (Gold) and Exact (Silver). In spring, the insider portals of Vogel IT Medien had called on their readers to choose their suppliers and providers of the year. The editors of the six insider portals had prepared short lists with up to ten major companies per category for participants to choose from. The vote, which ran until the end of August, covered 42 categories in total. Initiative Mittelstand rewards the most innovative solutions in Germany, Austria and Switzerland with the “IT Innovation Award”. This award and two special prizes are granted in 38 categories, covering all important areas of modern IT. Scopevisio was included in the “Best of” list in 2016. Scopevisio was honored as part of the “Germany at its best: North Rhine-Westphalia” campaign and figures among the “top achievers” in NRW. The campaign was launched by NRW.INVEST, the economic development agency of the Land of North Rhine-Westphalia. The aim of the campaign is to showcase the diversity and high achievements of local companies and to promote NRW as a top business location. In the reader survey 2015 of Vogel IT Medien, Scopevisio emerged as the winner and received the Cloud Computing Insider Award (Platinum) in the “Software as a Service” category. Other winners in the category include Salesforce (Gold) and SugarCRM (Silver). The six insider portals of Vogel IT Medien, including CloudComputing Insider, figure among the most important professional portals for IT decision-makers in Germany. The reader survey lasted over 20 weeks. A total of 25,000 votes were cast. The IT Awards were awarded for the first time this year. In its current cloud vendor benchmark, the Experton Group has classified Scopevisio as a “cloud leader”. Scopevisio received this rating in the category “SaaS ERP for SMEs”. The Experton Group is one of the leading analysts in the DACH region. Each year, the Cloud Vendor Benchmark is used to create an independent comparison of cloud computing companies. The study gives decision makers in user companies a differentiated overview of the most important service and technology providers in the market. The Scopevisio Suite has received the “Best of 2015” award in the ERP category at this year’s IT Innovation Award. Initiative Mittelstand has been granting this prize for twelve years to companies that offer innovative IT solutions with high value for medium-sized businesses. Scopevisio won the “ERP system of the year” innovation prize 2013. This prize is awarded each year by the “Center for Enterprise Research” at University of Potsdam. Scopevisio won the SME special special award “ERP system of the year” in 2013. This prize is awarded each year by the “Center for Enterprise Research” at University of Potsdam. Scopevisio won the “ERP system of the year” award in the “Accounting” category in 2013. This prize is awarded each year by the “Center for Enterprise Research” at University of Potsdam.